After only a few weeks post-gardening season, I’m itching to get back into my raised bed vegetable garden and play in the dirt. I’m reading “Deep Rooted Wisdom” by Augustus Farmer, and it’s a wonderfully inspirational book packed with gardening ideas. Farmer embraces the permaculture ideal. I’ve tried taking courses in permaculture, and frankly, I found it intimidating and confusing. What does it really mean? It’s like organic gardening on steroids. It always sounds like you just plant a jumble of stuff and hope for the best, but I know that can’t be right. This book untangles a lot of my confusion around permaculture and makes it easier to grasp. 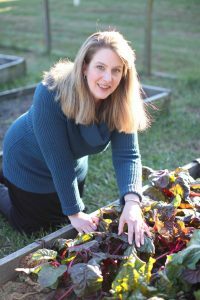 It’s about building up the soil – check, that’s an organic gardening concept I understand. I love learning about the fungi, the insects, the mycorrhiza web hidden in the soil transforming materials into living vegetables, flowers, plants. Some of the concepts aren’t going to go over well in this household. Leaving clover in the garden beds won’t make my husband happy. He’s on the warpath against weeds of all sorts and loves a manicured garden. However, he also loves hardwood mulch, and I just finished reading a chapter in the book about how wood chips encourage earthworm colonies and healthy soil. I’m all for the woodchip mulch now. 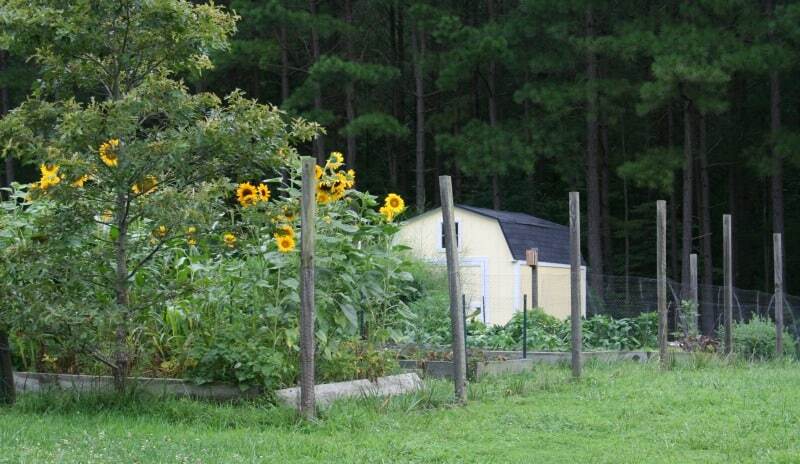 In addition to reading all about permaculture, I’m also thinking about my vegetable garden. This year, I grew all sorts of heirloom tomatoes. I think I grew the greatest variety of tomatoes I’ve ever had in the garden. I liked the Chocolate Taz, didn’t much like the Hungarian Paste tomatoes which tended to rot before they reached ripeness. But what about other vegetables? I’m looking into growing orach. Orach, also called Mountain Spinach, is a spinach-like vegetable native to my region, the Appalachians. It grows quite tall, doesn’t mind the heat, and produces edible leaves that cook up like spinach. I’m intrigued. Why Don’t We See Such Variety in the Supermarket? 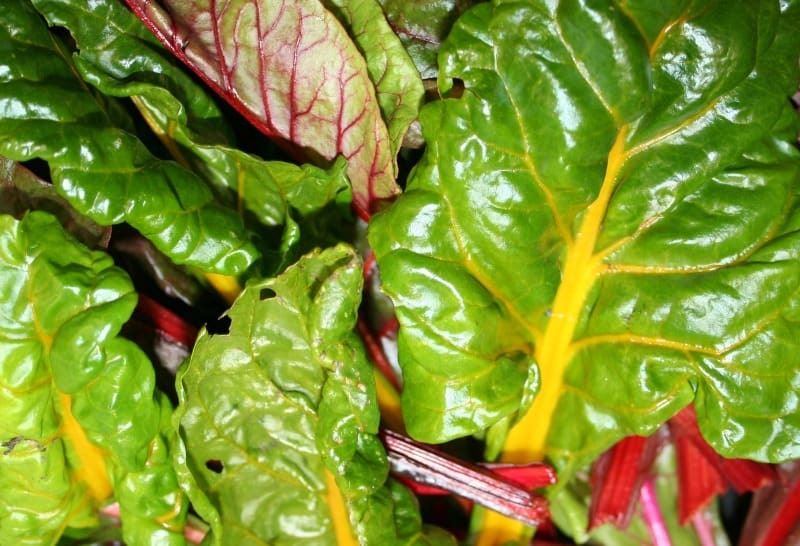 As I browse through my seed catalogs, I have a sudden longing for Swiss chard. I love chard. I go grocery shopping on Friday morning and can’t find chard anywhere. There’s one type of kale, two types of lettuce (the Romaine was just recalled, which would make three). There is no fresh spinach except a wilted bunch leftover on the greens shelf and bags of washed spinach. One white cauliflower head, one type of broccoli. My seed catalog overflows with variety. Orange, purple, and white cauliflower, seven types of broccoli including really neat-looking Romanescu with sculptural florets resembling some sort of brain coral. Lettuce? Four pages of lettuce seeds! I love garnet lettuce which is a deep, glowing ruby red, but there’s speckled lettuce, Deer Tongue lettuce for the southern United States, frilly leafed lettuce, oh you name it, it’s beautiful and it’s there. Why isn’t it on my grocery store shelves? When I shop with my husband, he frowns a lot at the “unusual” vegetables. “This should be purple,” he’ll say, pointing to an eggplant. Red lettuce? His frown deepens. It’s just not right. But it IS right, and it has always BEEN right, that nature produces variety. It’s our supermarkets with their emphasis on consistent product quality and identical apples and perfect spherical tomatoes that ship well and won’t bruise that have created a virtual food desert and turned so many people off to real food – the kind of food that human beings thrived on for eons before the advent of boxed meals and drive-through windows. Rainbow Swiss chard. Delicious, beautiful, and you can’t find it in the stores. So orach it is, and garnet lettuce, broccoli rabe, rainbow chard, leeks, small purple turnips, golden beets, and Chocolate Tazmanian tomatoes. My husband has a request in for me to try to grow and can pearl onions so that we have the “right” kind for Thanksgiving next year. We both love creamed onions but cannot find the kind in glass jars at the supermarket, the kind our grandmothers used to make holiday creamed onions. I’ve tried making her recipe with frozen pearl onions; dreadful, hard little marbles that never cooked into the sweet, tender, creamy dish we both recall. My plea to all the gardeners out there reading this is to explore, experiment, and embrace variety. Hey, we can all buy iceberg lettuce at the grocery store. But garnet lettuce? If you aren’t sure whether your family will like it or not so you’re afraid to grow something ‘weird’, browse the farmer’s market first and buy a few ‘weird’ vegetables to try. Maybe the purple cauliflower will be a hit with your four-year-old and get him to eat cauliflower; or the parsnip and potatoe pancakes will be your new favorite meatless meal. I’m planning my 2019 garden now. Will you join me in planning something special, something different, something unique?